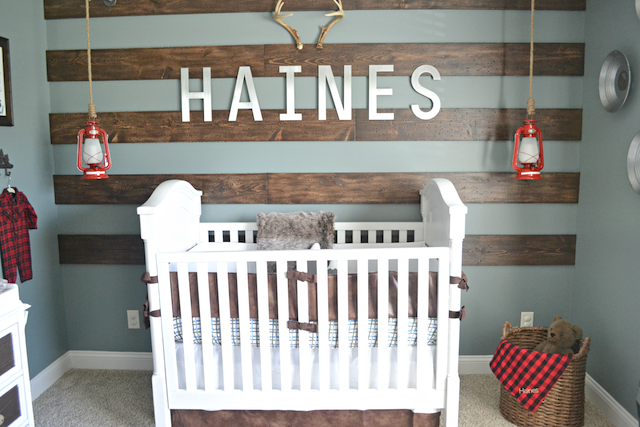 Fawn Over Baby: PurpleTrail Review + Giveaway!! Happy Holidays Fawn Friends!! I have to say it has been pretty crazy around our household lately. We just re-located to Georgia, courtesy of the United States Air Force and are currently in the process of closing on our new home. Needless to say our holiday planning is slim to none. 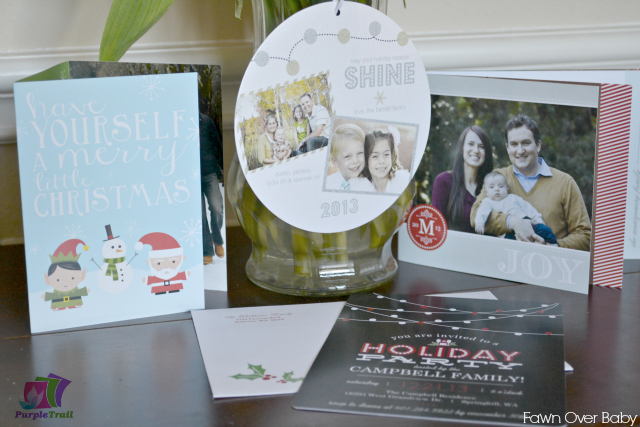 Every year we are diligent about sending out our family Christmas card to close friends and family. With everything going on, we are running a little behind. However, I am thanking my lucky stars for the wonderful stationary website, PurpleTrail!! 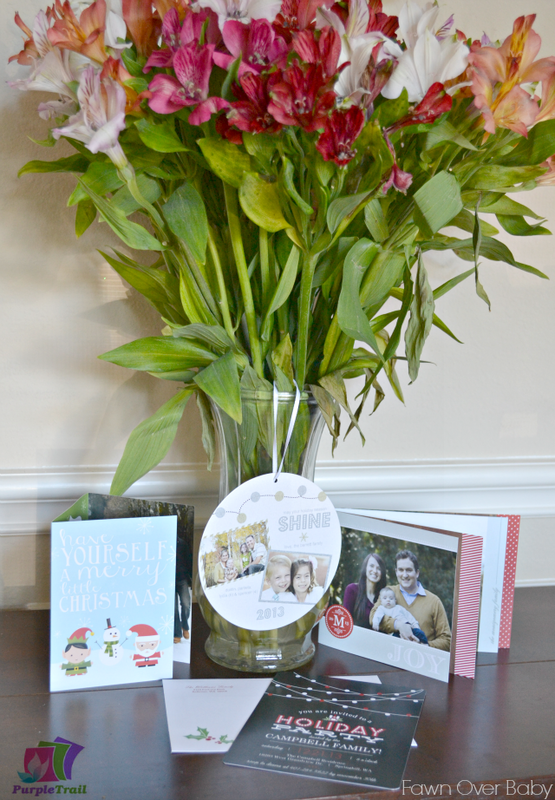 Within just a few days, I was able to customize, order and send out our Christmas cards just in time for Christmas! 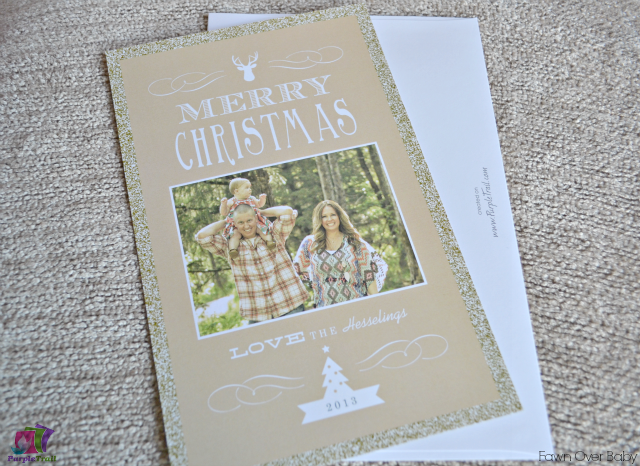 For our Christmas Card this year, I chose the Emerald Green and Gold Glitter Christmas Photo Card. As you can see below, I changed the background color to a more neutral tone, allowing the gold glitter to stand out more. I also uploaded our family photo and changed the signature to our family name to add a personal touch. I wasn't sure what to expect being that it was so last minute, however, I am so happy with how beautiful they turned out. With so many ADORABLE designs to choose from, PurpleTrail allows you to customize every detail from background color to embellishment layout! 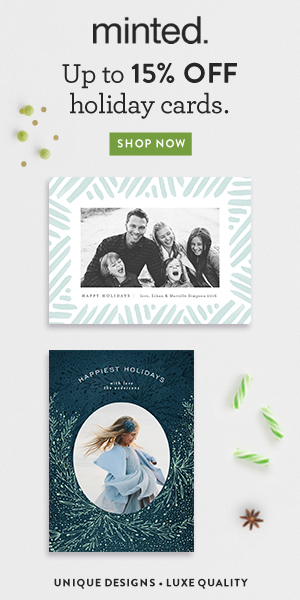 The Process is so easy and the best part is you will receive your quality printed cards within just a few business days! 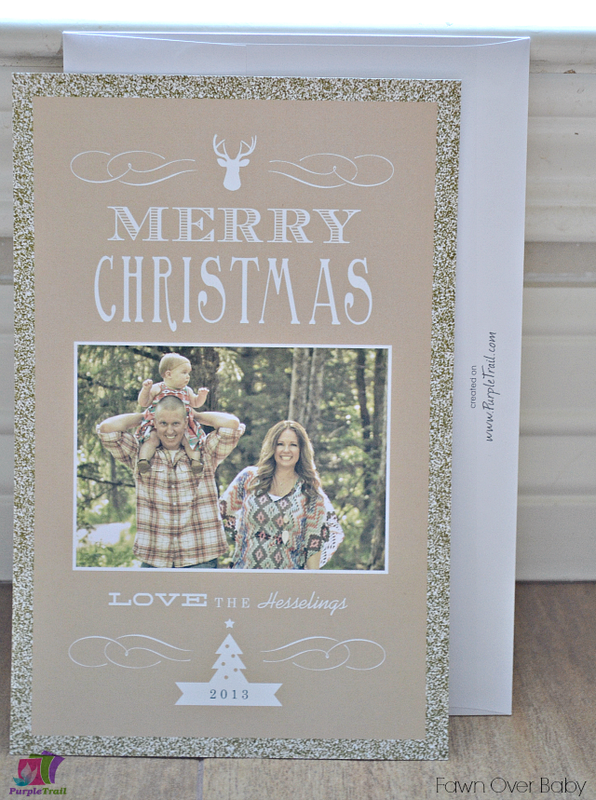 Notice the tri-fold, multi sleeve and circular (ornament) layout - like I said, so many options! 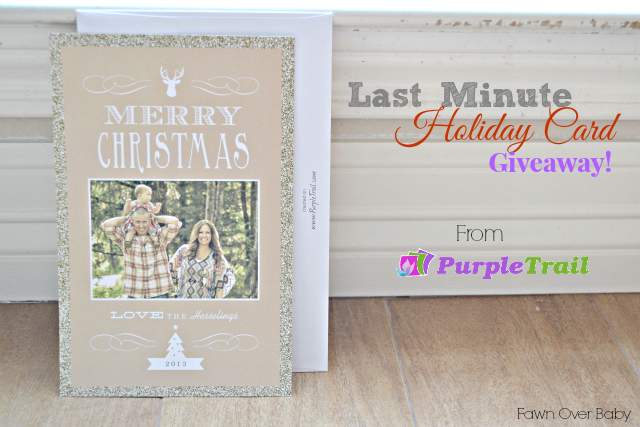 To help the rest of my fellow last minute Christmas Card senders, PurpleTrail is offering One lucky Fawn Over Baby reader a $50 Credit to use toward your next online purchase!! There is still time to wish your family and friends a Happy Holiday Season!! * Fill out our giveaway form from rafflecopter below with options for extra entries. * Winner will be chosen and announced December 16th!